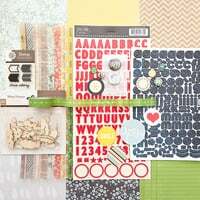 This month, the design team was asked to scraplift a member from the gallery! 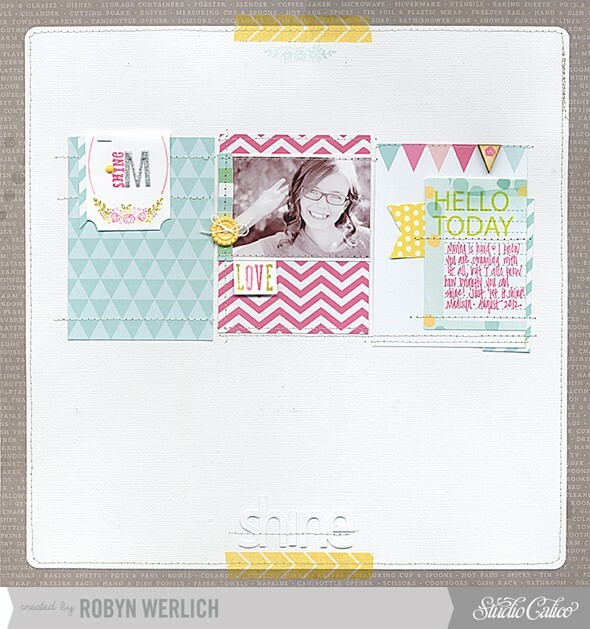 When I was browsing through, I saw this layout by ptitmanue called 'clouds' and I was totally inspired! I loved the white space, the three element blocks in the middle and all the sewing! Beautiful page! 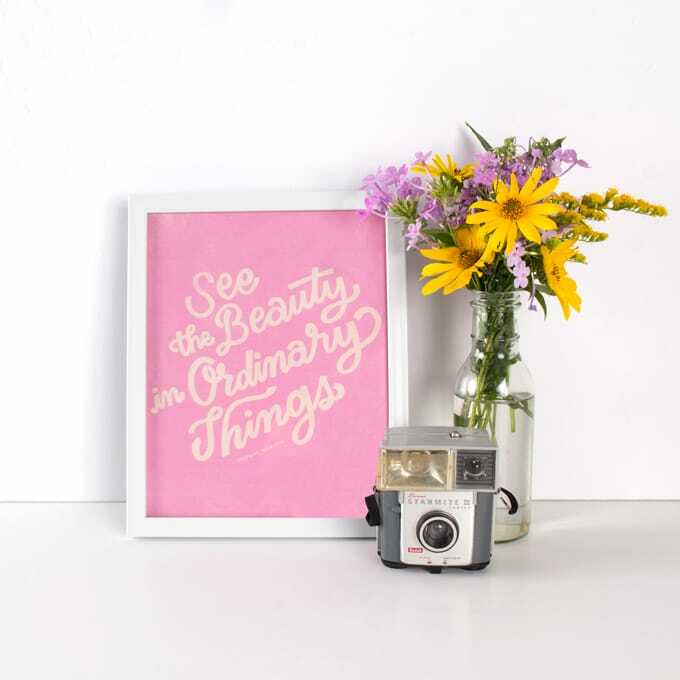 Her gallery is amazing too! Thank you so much for letting me lift your layout this month!!! 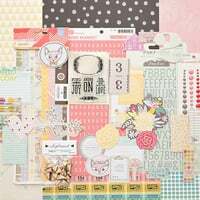 The papers and embellishments in the Poodle Skirt Add-on 3 are amazing! 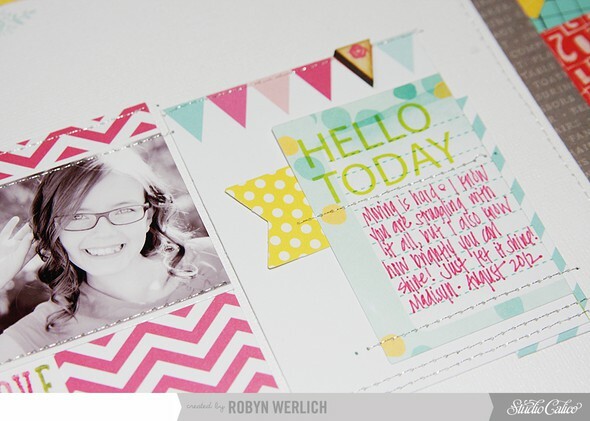 I just loved the girlie elements and had so much fun with this layout! 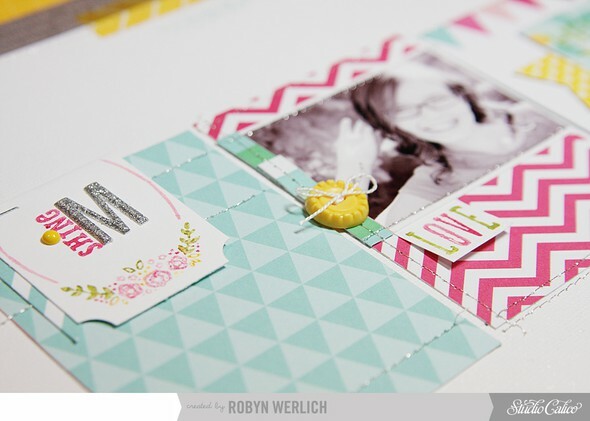 For the stamping, I used markers on my stamps to help create a multi-colored floral (and 'love' text) elements. 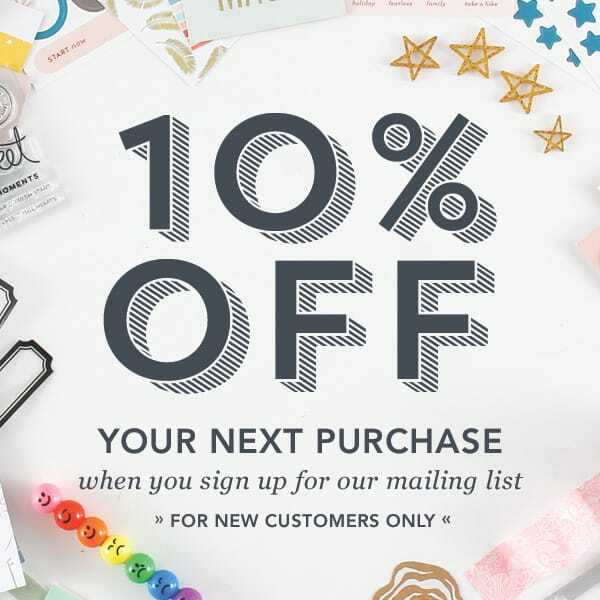 Love the feminine touch those stamps add to the page. 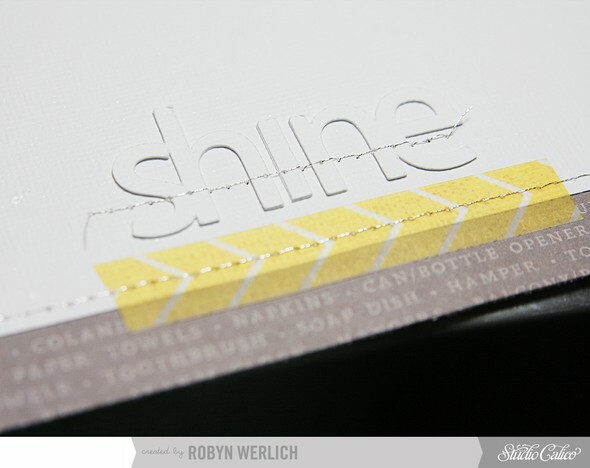 The white cardstock is misted with Calico Shine and adds the most beautiful shimmer!